Ok, so this date night is perfect for Halloween and October, but it would be fun to do anytime of the year too. If you don’t have time to pull it off this Halloween, save it for later. And, the intensity of this date is all up to you. You can go super easy or go all out, the important thing is to spend some quality time with your Honey. Most of the prep for this date will be from decor and food. Decor can set the mood. Make a trip to your local Dollar Tree and hit up the Halloween aisle. Grab some crawly spiders, caution tape, spider webs, and anything else you think will help spookify (yes, I just said that). You’ll want to print out the Dead and Breakfast Inn welcome sign and display it somewhere obvious. I made it pretty big (like 16×20”), so if you want to print it out like a poster and piece it together you can. Blockposters.com makes it super easy. Just save, upload and print it. (I have no affiliation with Block Posters, I just like how easy it is to use and the results are great. And it’s FREE.) Put this up on the front door or paste it to a piece of foam board and hang it outside or from the kitchen doorway. Wherever works the best for your home. It would be fun to cut it out, paste it to some foam board and hang it on a little faux chain. Just click on the image, right click in the new tab/window and save it to your computer. You can print it little or upload it to print it larger. Next, get your decor put up. You don’t need to go super elaborate (unless you want to), but pull out some candles, hang some spider webs, dim the lights and put the caution tape out. Now, the food. 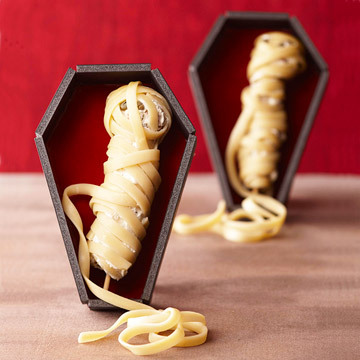 You can grab take out and spookify it (yep, there it is again) for a quick and easy night. For example, grab some Chinese food, serve it right out of the cartons and slap these labels on the boxes. Bam! Easy, right?! Again, click the image, right click and save. 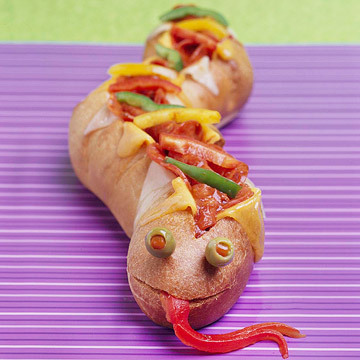 Or… get creative and make some creepy food. There are a ton of ideas out there. Some of my faves (from my pinterest board). Please be respectful and click over to the original source to pin. Thanks! Or, there’s always spider web nachos, bone breadsticks with blood sauce marinara, and tombstone cupcakes. For our date, we carved pumpkins and then did some binging with a Bones marathon. We have been going through the series and love it. It’s got the creepy element, but it’s not scary (I don’t do scary), so it’s perfect for us. – Go to the corn maze. Don’t forget a flashlight (or do…) Do a Google search to see if there is one in your area. – Visit a haunted house. – Go to the pumpkin patch and take a hay ride together. – Visit a cemetery. Take some snacks for an eerie little picnic. – Dress up in costumes and go bowling or to the movies or just get dessert. Enjoy all the comments and funny looks. You can grab a scary movie, make some Monster Mash snack mix and snuggle together for a frightfully good evening as an alternative stay-at-home date. Or pull out some board games. Clue, anyone? 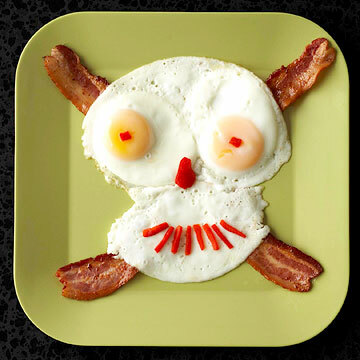 Come morning (it is Dead and BREAKFAST, after all), cook up some scrumptious food to help you get through the day. Great date nite ideas, thanks for sharing!